The Begonia Solenia is extremely versatile and is happy almost anywhere. This mildew resistant begonia, performs beautifully as bedding, as well as in mixed containers, window boxes, borders, OR even on the kitchen worktop or windowsill! These enthusiastic plants reliably produce a blanket of brightly coloured blooms and their unique branching habit means, they won’t topple or snap, it also prevents them from becoming top heavy and breaking. 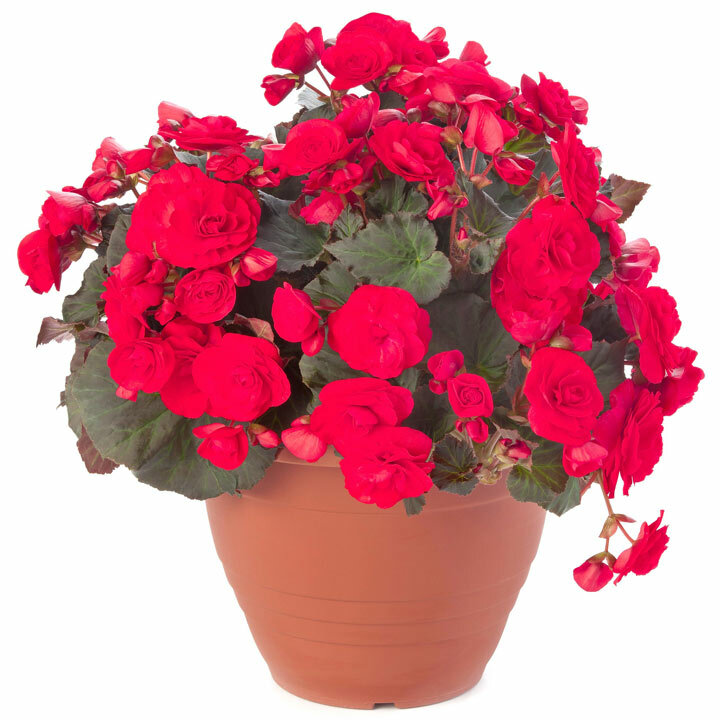 Our Suttons Solenia begonias are more wind resistant than other begonia varieties, as well as much more drought resistant too. They are the plant you can plant anywhere; in the shade, in the sun, indoors, outdoors. the possibilities are endless! They are also make a stunning gift for a birthday, house warming or celebration. The 'Solenia' is the ultimate plant for fuss-free summer flowering. The bright and cheerful petals look like a handful of tropical sweets. 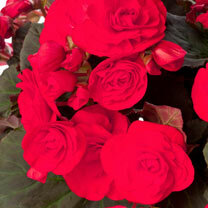 Unlike most other Begonias, 'Solenia' are 100% comfortable in a sunny border too, they just keep flowing and won't burn. 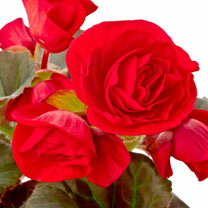 The begonia for sun o0r shade! Ideal for beds and borders, patio pots and containers, houseplant. Prefers full sun or partial shade.